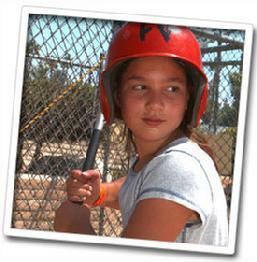 Whether you're on a team or just want to get your groove back our Batting Cage is for you. Our arm style pitching machine is just like a pitcher pitching to you! The speed of the pitches will range between 45 to 50 mph, good for adults and kids 7 and older. Bats and helmets are provided, but make sure you have shoes that cover your feet. Come on out and give it a whack!